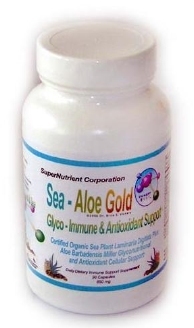 This "Land & Sea" treasure provide an incredible boost to the healing process! Natural herbal remedy to help heal bowel problems. Help Restore Thyroid Function and Normalize Metabolic Processes. Help Clear Blocked Thyroid Receptors - remove bromine, chlorine and fluorine. to your body's healing processes. 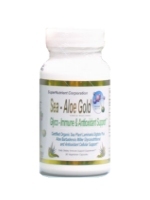 Sea Aloe Gold — Ancient treasures from Land and Sea. Thousands of years of 'Lore' and 'Legends' now become SCIENCE! These two "Treasures of Land and Sea" natural ingredients provide an incredible boost to your healing processes. Working synergistically, the sea-plant minerals and aloe vera restore your thyroid function by reinstating blocked (presence of other halides: bromine, fluorine, chlorine) thyroid receptors in your thyroid gland. In my over fifty years of working with immuno-depressive conditions such as these and others, I too, have found mal-digestion and mal-absorption to be a leading symptom of many illnesses. I also discovered that the cause for this gut malfunction to be a basic deficiency throughout the body of systemic protein. 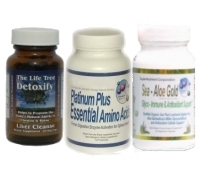 This deficiency presents as one of its major symptoms, a gut in various stages of degradation. The lining of the gut can be inflamed, thickened, and porous, it may be creating polyps, lesions, or pits in the walls. The absorption cells of the small intestine may become flattened, thick and resistant to allowing nutrients to pass through. In treating various illnesses, I found that replenishing the body’s stores of systemic protein would allow the gut to heal and rebuild itself. 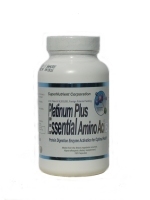 In order to make this possible I had to patent a very specific essential amino acid blend known as Platinum Plus Essential Amino Acids. However, in cases where the gut degradation has gone on for a significant period of time the healing process can take a long time, so extra measures should be taken to speed the healing. A common stumbling block in the healing of the protein deficient patient is gut mal-absorption. Most of the food we eat is not useable by the body and it is the job of our digestive system to break down the food, extract the beneficial part and neutralize and flush the parts that could be harmful to the system. It is for this reason that the intestine is considered the “largest lymphoid organ in the body”. One of natures finest healing agents for the digestive system is aloe vera (aloe barbadensis). In the 1960’s studies were performed on duodenal ulcer patients giving them aloe vera, the tests showed a complete healing of the ulcerated areas and the areas did not re-ulcerate for twelve months. If the patients had also been taking Platinum Plus, it is my opinion that the areas would not have re-ulcerated at all. One study giving oral aloe to patients with severe ulcerative colitis, showed aloe effective in inducing remission of symptoms. A Russian study showed that aloe significantly boosted the healing process of stomach lesions. Several studies showed that mice given aloe exhibited anti-inflammatory responses as well as faster wound healing. A biologist from the University of Dallas, Dr. Shupe found that aloe killed staph, strep and e. coli; all bacteria that the gut can harbor. I have seen this many times in my immune compromised patients. 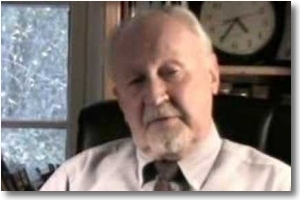 Jeffery Bland Ph.D., of the Linus Pauling Institute looked at several studies of oral aloe concerning gastric pH, stool specific gravity, protein digestion/absorption, and stool microbiology. In the subjects using oral aloe, the stool moved more quickly through the bowel, protein digestion and absorption improved, an increase in water in the stool made it bulkier, In the subjects with high yeast, stool bacteria normalized, suppressing yeast overgrowth. 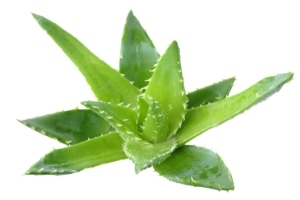 He found the results all favorable indicating the positive effects of oral aloe supplementation for inflammatory bowel conditions. In his study of aloe, Dr. Peter Atherton, a research Fellow at Oxford University, says “My investigation showed that Aloe Vera seemed to work in two definite areas, firstly on damaged epithelial tissue and secondly on the immune system. The most recent discovery about the aloe leaf ,still in the process of being researched, is the presence of large amounts of polysaccharides, especially the one known as acetylated mannose (acemannan). This has been shown to boost the immune system, speed healing, and help fight viruses. The medicinal powers and benefits of kelp have been celebrated for centuries due to its proven ability to prolong life and enhance health and beauty. 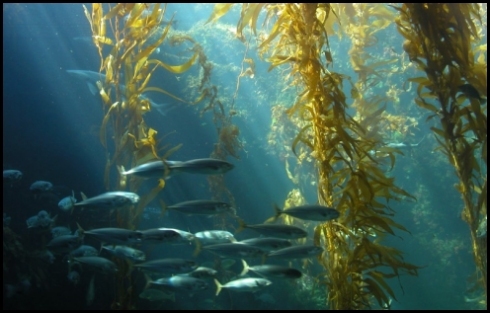 "Sea Kelp is a rich source of mineral salts: iodine and chlorides (Na, K, Mg), hydro and liposoluble vitamins (A, C, B1, B2, PP, K, B12) and trace elements (Mn, Fe, Cu, Co, B) . Iodine is an essential element involved in protein metabolism in the body. If the body is iodine deficient, protein synthesis will be hampered, leaving the body in an immunodeficient state. Also, the thyroid needs to have at least 60 mcg. of iodine daily in order to make adequate amounts of thyroid hormone. Iodine is stored in the breast tissue, gastric mucosa of the stomach, and sweat glands. According to Dr.Jorge Flechas MD, iodine deficiency is prevalent today as the soil no longer provides enough in the plants, we no longer put it into milk and bread, and the amount we put in table salt is not enough to meet our requirements. Lack of iodine in the gastric tissues of the stomach results in a lack of stomach acid needed to digest food in the stomach. Incomplete digestion of food in the stomach can lead to irritating particles of food in the gut causing inflammation and mal-absorption syndrome. In this condition important elements of protein absorption such as iodine cannot get into the body. Inflammation can also damage enterocytes, leaving less of them capable of absorbing nutrients like iodine, very necessary for protein metabolism. If a person on the Platinum Plus protocol remains iodine deficient, their gut is suffering from mal-absorption. Studies show that protein deficiency causes morphological changes in the gut wall that impedes the absorption of iodine. Therefore there will be immunodeficient patients who will not be able to utilize the iodine they need to fully cure their protein deficiency. In order to address this common problem, I have combined organic aloe together with organic kelp in order to help heal the gut and provide it with an incredible source of plant processed vitamins, minerals, iodine and essential sugars. 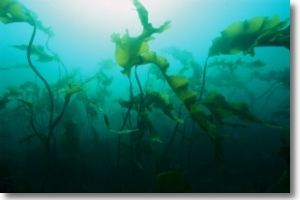 Sea kelp also helps to nourish the thyroid and pituitary glands, helping to maintain the body’s metabolic balance. - John Pittman, MD, "The Immune Effects of Aloe"
- David LJ Freed, "The Physiology and Immunology of Digestion"
- Blitz, J.J., Smith, J.W. and Gerard, J.R. "Aloe Vera Gel in Peptic Ulcer Therapy"
- Langmead L, "Randomized, double-blind, placebo-controlled trial of oral aloe vera gel"
- Sotnikova, E P., "Therapeutic use of aloe in experimental stomach ulcers"
- Fitoterapia Volume LXV, "Anti-inflammatory and Wound Healing Properties of Aloe Vera"
- Jeffrey Bland, Ph.D., "Effect Of Orally Consumed Aloe Vera Juice"
- Dr Peter Atherton M.B.Ch.B., D.Obst. R.C.O.G., M.R.C.G.P., "Aloe Vera, Myth or Medicine"
- Mayo Clinic.com, "Aloe Vera"
- Jorge D. Flechas, M.D., "Iodine Insufficiency"
- Y. Ingenbleek, "Evidence for intestinal malabsorption of iodine in protein-calorie malnutrition"